“Rescue Me” is a recurring column by Samantha Randall, editor-in-chief at Top Dog Tips. She’ll provide personal anecdotes and perspective about her life as a pet lover with a passion for cat and dog rescue. Today, she talks about what to do if you find yourself in need of a rescue shelter, but your town doesn’t have one. If your town doesn’t have an animal shelter, it can be harder to adopt a dog or even to give your dog up for adoption (if that sad situation arises). You might also wonder what you should do if you find and pick up a stray dog. Whatever your situation may be, there are many options at your disposal if you need a shelter yet don’t have easy access to one. If you find a stray dog, the first thing to do is to check for an identification tag. It’s common for dogs to go missing and owners to search for them. Some pet ID tags have the owner’s name and contact information, and it shouldn’t be hard to get in touch with the owner in this case. A tag may have the name of a veterinary clinic instead. Call the clinic during business hours, and they should help you get in touch with the dog’s owner. If the dog you found doesn’t have a tag, it may have been micro-chipped. To find this out, you will have to take the dog to a veterinary clinic. After that, it will be up to you to decide how far you want to go to get the dog sheltered or returned to its owners. Even if your town doesn’t have an animal shelter, it probably does have an animal control or animal services department. Let them know that you have found a stray, and they might be able to help you locate the owner. Check lost-and-found ads in your local news outlets, newspapers or even online forums. Owners of lost dogs often post ads there. You can also post the ad yourself, saying that you have found a stray dog. Make sure to describe the dog properly and specify where the dog was found. You can also print and put up flyers around your neighborhood. Use social media to post about the dog you have found. Check local groups on Facebook to see if someone is looking for a dog and to post information about the dog you found. If you are not able to locate the owner of the stray dog, you should try to find a new home for the animal. The steps to take here are the same as if you were giving up your own dog for adoption. Going to the local shelter for help would be one of the most effective ways of finding an adopter for your dog, so you might want to try a few different routes if your town doesn’t have one. The same goes for adopting a dog. 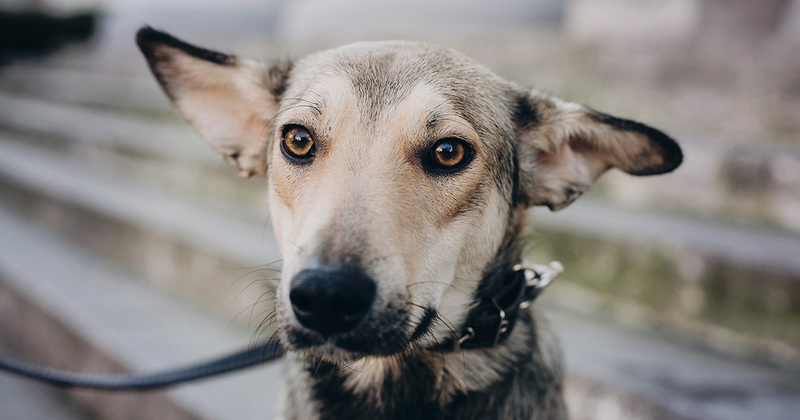 Even if your town doesn’t have a shelter, it may have rescue groups or even breed-specific rescue groups if you have a purebred dog. They might have someone who is looking for the type of dog you want to rehome, or they might point you out in the right direction with some other suggestions. You can find local animal welfare groups on Petfinder.com. There are many adoption websites where you can post to find a suitable adopter for your dog. You can do it on general adoption websites like Wagaroo or Pet Bond, or use sites that try to rehome specific breeds or animals with a disability. Another great website for those looking to rehome or adopt a dog is Rehome by Adopt-a-Pet.com. Social media can also be a good way of finding a home for your dog. Post on your Facebook, Twitter and Instagram and find local groups on those social media sites where you can also post a photo of your dog to find potential adopters. Try to get the word out about your dog as far as you can. Ask friends and family members to mention your dog in their church or use a community newsletter, spread the word around your office, and print flyers and posters to share around your neighborhood. Take your dog on walks more often and let them charm those who come in contact with them. Visit local pet stores and tell them about your dog. Word of mouth can often yield positive results when you are trying to rehome a dog. Obviously, all the tips for rehoming your own dog also apply to finding a stray, if the previous actions don’t pan out. Good luck, and hopefully you’ll never need to use these tips!